Their Excellencies, Baron Jean Maurice le Marinier and Baroness Catalina Riquel de Luna, bid you welcome to the Barony of Marinus in the Kingdom of Atlantia. The Barony serves historical reenactors in the cities of Chesapeake, Norfolk, Portsmouth, Suffolk and Virginia Beach, Virginia. 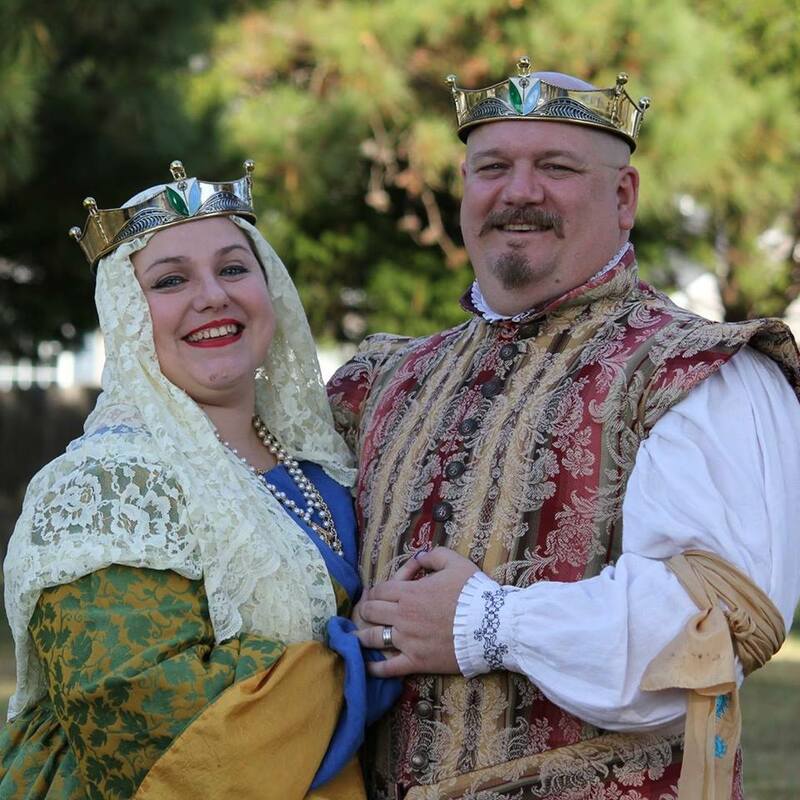 As part of The Society for Creative Anachronism, our members focus on the research, reenactment and preservation of the culture, art and skills of the Medieval world. With over 30,000 members worldwide, The Society is a not-for-profit educational resource for all those interested in experiencing a part of the Middle Ages in our modern world. Whether you are just beginning your journey or are coming to our Barony from another far corner of the Knowne World, we invite you to join us for one of our weekly meetings. For more information, please contact our Chatelaine, Lady Jessica, or check our Baronial calendar. The SCA encompasses all of the "Knowne World", nineteen Kingdoms across the globe. 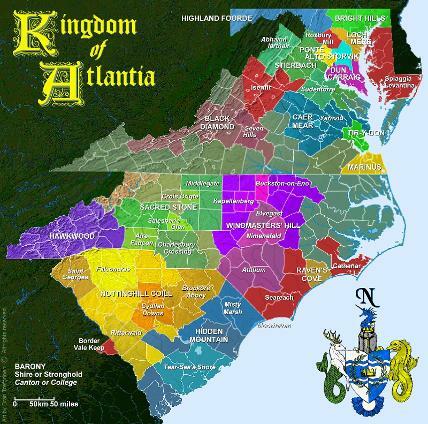 The Kingdom of Atlantia encompasses all of Maryland, the District of Columbia, North Carolina, South Carolina, most of Virginia and a small portion of Georgia. Atlantia is in turn divided into a number of local groups: Baronies, Shires, and Strongholds; and even further into Cantons and Colleges. Our Barony of Marinus includes Virginia Beach, Norfolk, Chesapeake, and parts of Suffolk, all within Virginia. We have members of all ages, from our youngest members who were born in the last year to our most distinguished members who have been with Marinus from the beginning. Our interests are as varied as our members. Please enjoy our website as it touches on just some of the many interests of our wonderful group. As always, welcome to the Barony by the Sea!